Occasionally, fruit is received in system, but its condition is such that it cannot be used – spoiled, moldy (moudly), jacks/raisined, etc. You may have to dump an entire fruit intake or only a portion. To begin, you need to locate the fruit parcel. 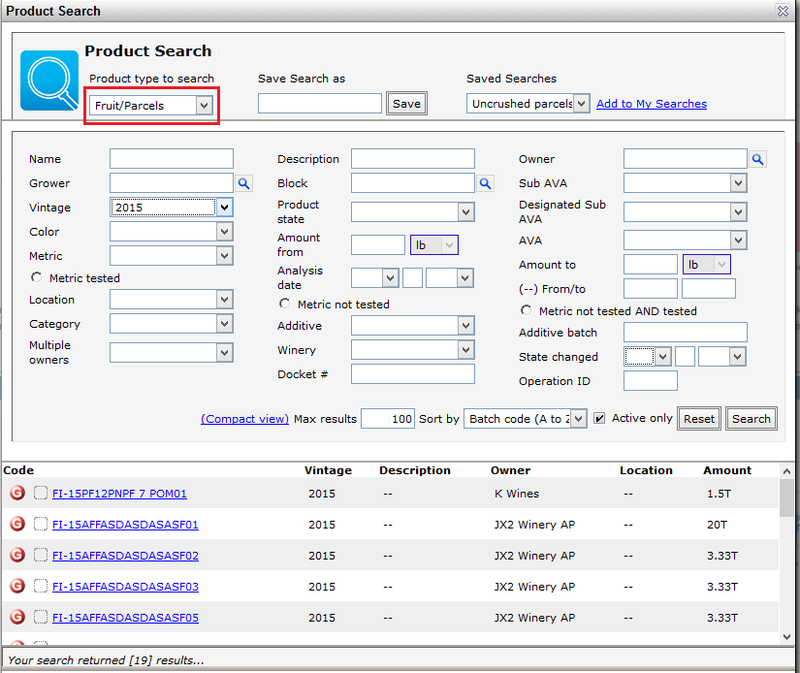 Head over to Search – Product Search. 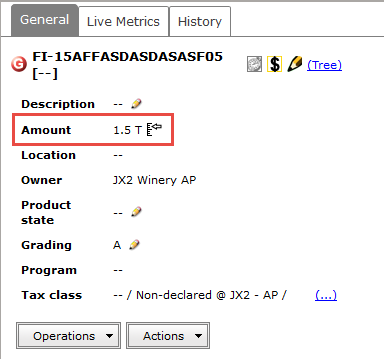 In the drop-down below Product type to search, select Fruit/Parcels. 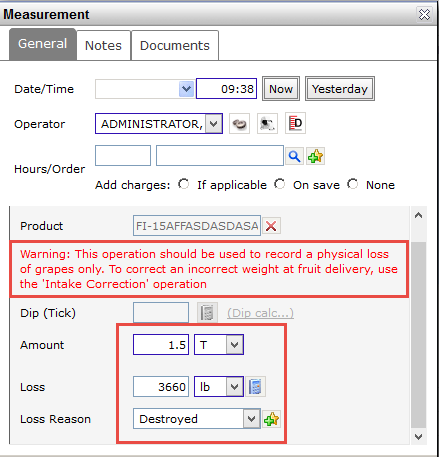 You may use the various search filters to narrow how many fruit parcels are returned. In our example, we want to search through all our 2015 fruit. Click on the fruit batch. 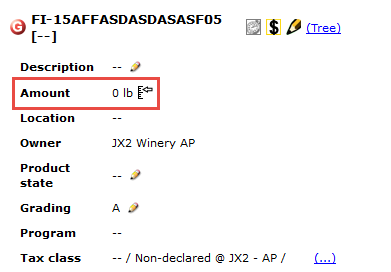 Hint: If you have a dashlet in your Saved Searches for uncrushed parcels, you may use that to find your fruit to be reduced in weight or zeroed out completely. When the fruit parcel screen opens, use the Adjust button (looks like a scale measure indicator). When the Measure (Adjustment) screen opens, notice the warning in red. 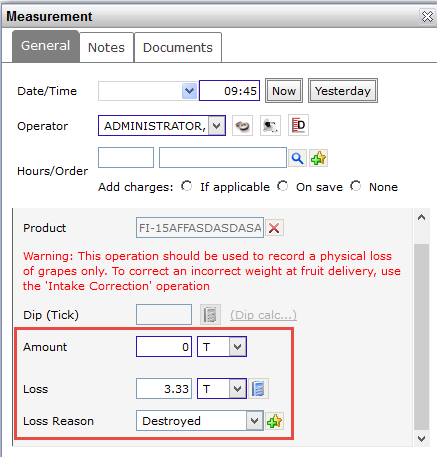 If the entire fruit parcel is to be destroyed, enter “0” in the Amount field, then click the Calculator; it will display a total loss (in our example, 3.33T); choose an appropriate reason for the loss. Enter a date and time and save. If only a portion of the parcel was ruined, simply enter in Amount the weight that will be left intact (1.5T or 3000 pounds). Once again, click the Calculator; it will display the partial loss (in our example, 3660 pounds); choose an appropriate reason for the loss.